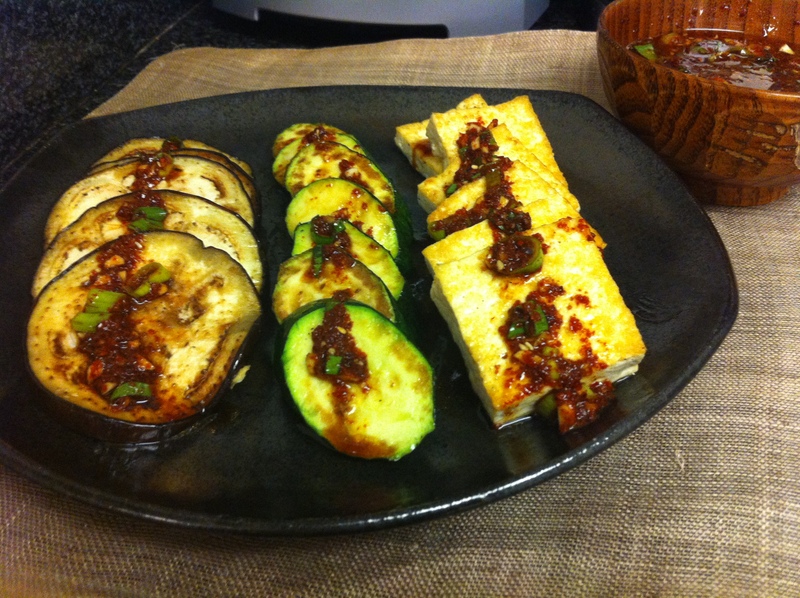 A friend of mine recently asked, “What’s an easy Korean vegetarian dish?” The first thing that came to mind was grilled tofu served with dipping sauce. This dish is extremely simple and delicious in itself but for the other day, I decided to add grilled vegetables as well. 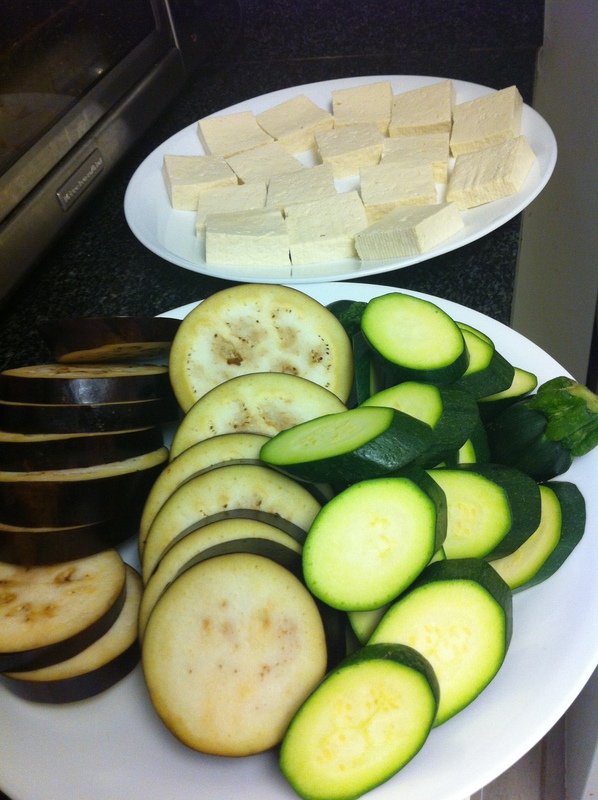 One aspect to note is the oil I used to grill the tofu and vegetables, which was deulgireum (들기름) or perilla seed oil. You can use three other oils as well. Deulgireum (들기름) perilla oil: This oil has a more earthy taste than sesame oil. Many Koreans prefer to sauté or gill vegetables with this oil. It is high in omega-3, helps prevent bad cholesterol and good for high blood pressure patients. Sesame oil: My husband prefers sesame oil over deulgireum. Sesame oil is loved by everyone but make sure to mix 50% sesame oil and 50% vegetable oil (a neutral one like canola or grape seed oil) when grilling or sautéing because sesame oil alone is quite strong. Olive oil: Olive oil is a great healthy option if you don’t have deulgireum or sesame oil. Grape seed oil: You can use any neutral vegetable oil if you want a clean taste. I prefer grape seed oil. 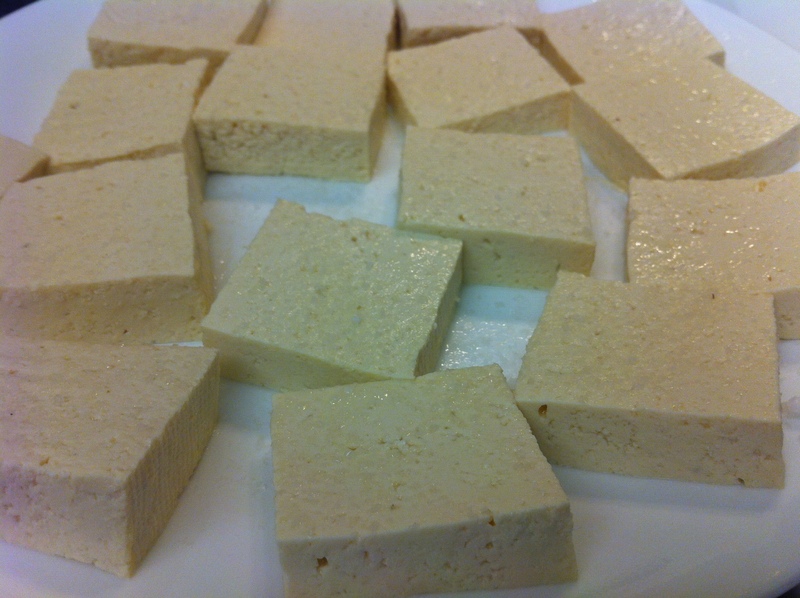 Sprinkle salt on the cut tofu and let it sit for about 15 minutes. This not only seasons the tofu but more importantly draws out the moisture to make it easier to gill without breaking the tofu. In the meantime, cut the vegetables and mix the sauce ingredients. 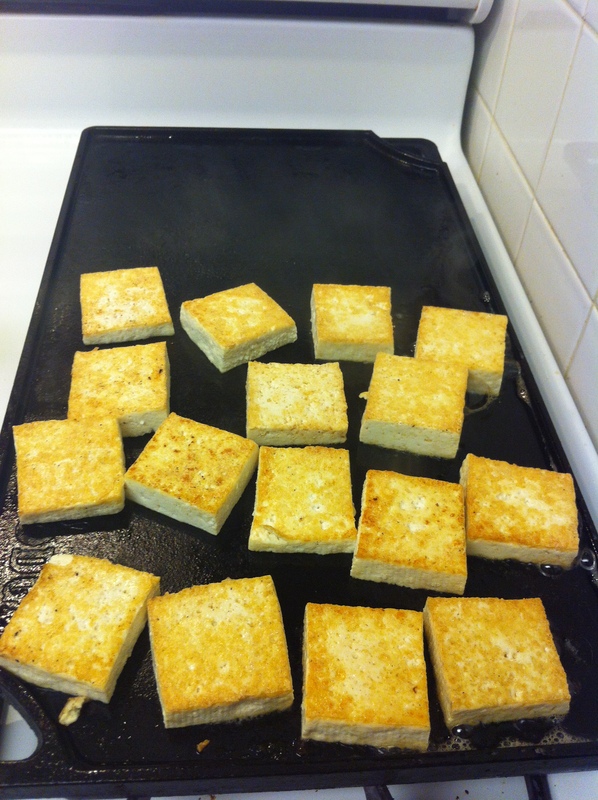 Drain any water that came out of the tofu and wipe off any excess moisture on the tofu squares with a paper towel. 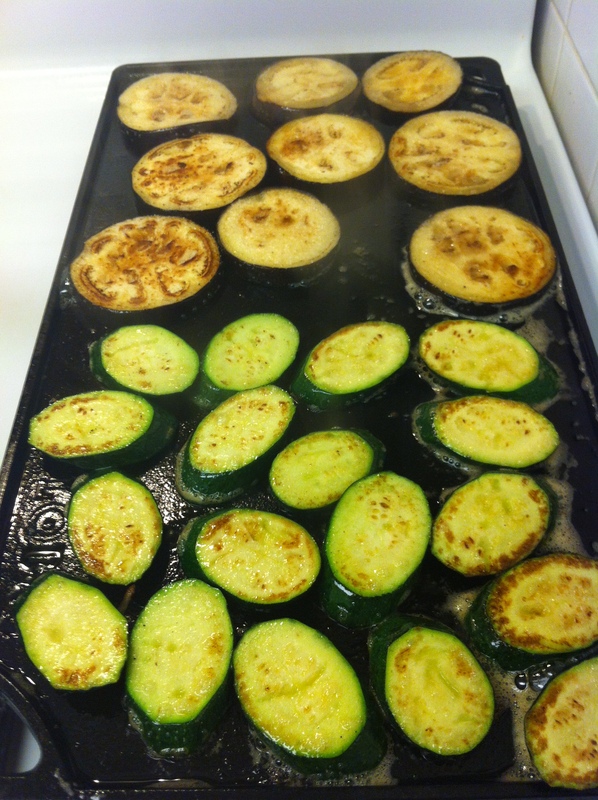 Heat a large skillet or a griddle on medium heat and drizzle just enough oil to thinly coat the grilling surface. 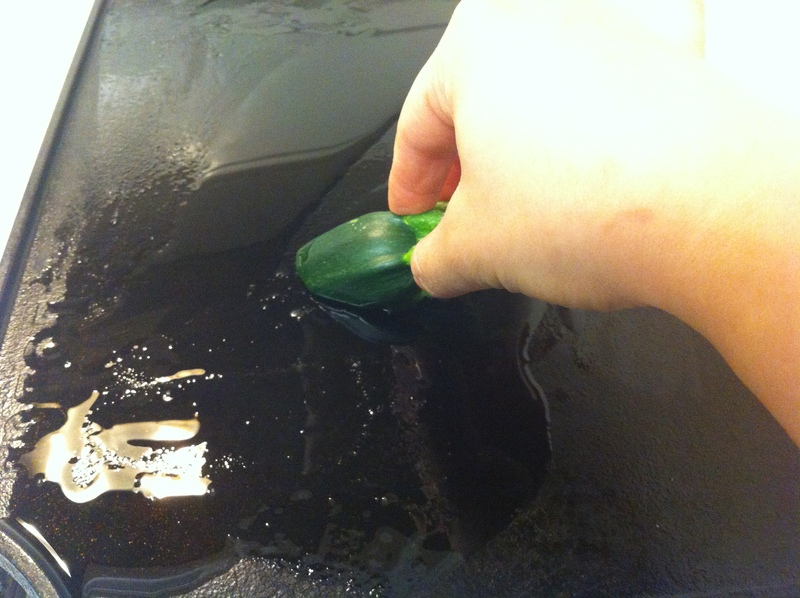 You can use the zucchini stub or a paper towel to evenly spread the oil. 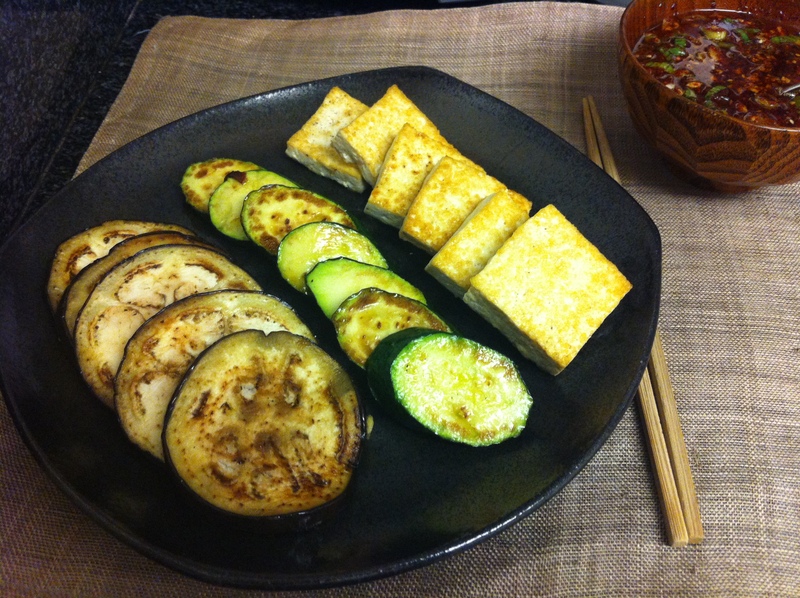 Grill the tofu until both sides become a golden color. Set aside. 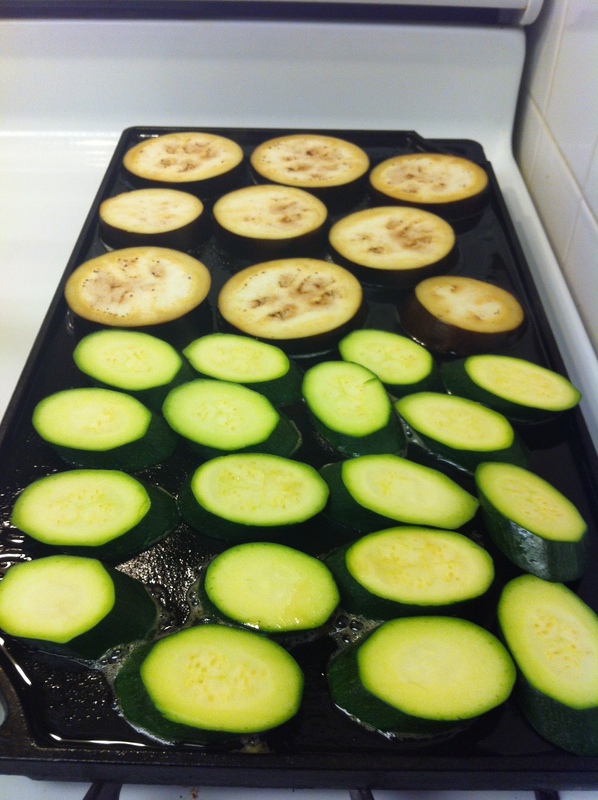 Grill the vegetables on each side. 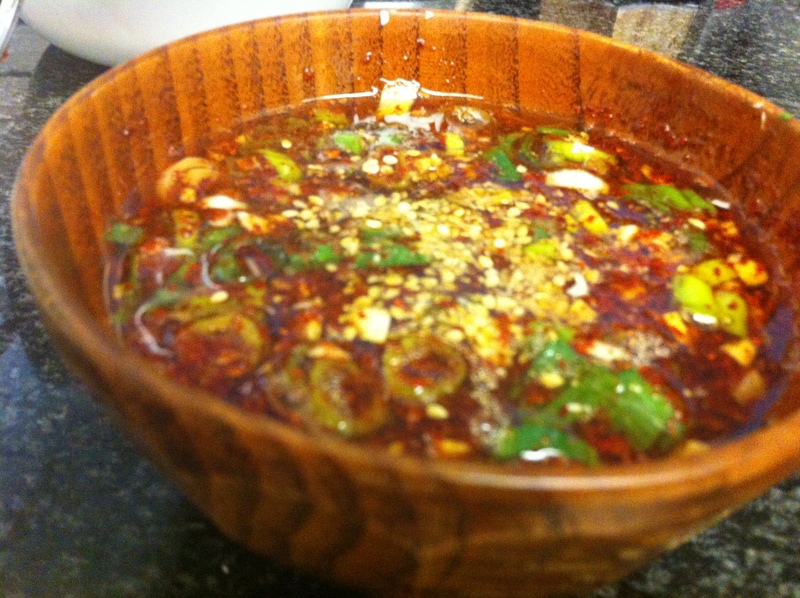 You can sprinkle the sauce over the tofu and vegetables or serve the sauce on the side. This entry was posted in Appetizer, Banchan (반찬, Side Dish), Good for dinner, Good for lunch, Main Dish, Vegan/Vegetarian Options and tagged Gilled, Tofu, Vegetables by gangnamkitchen. Bookmark the permalink.